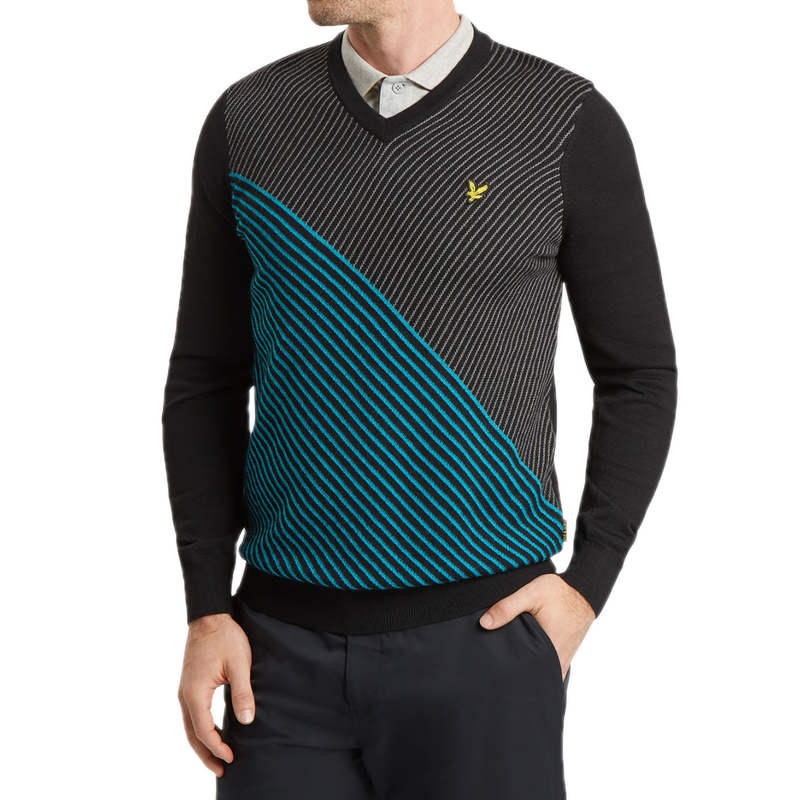 This classic v-neck sweater offers a refined look to your golfing outfit, expertly constructed by Lyle & Scott to give you optimum warmth and comfort as you play golf. 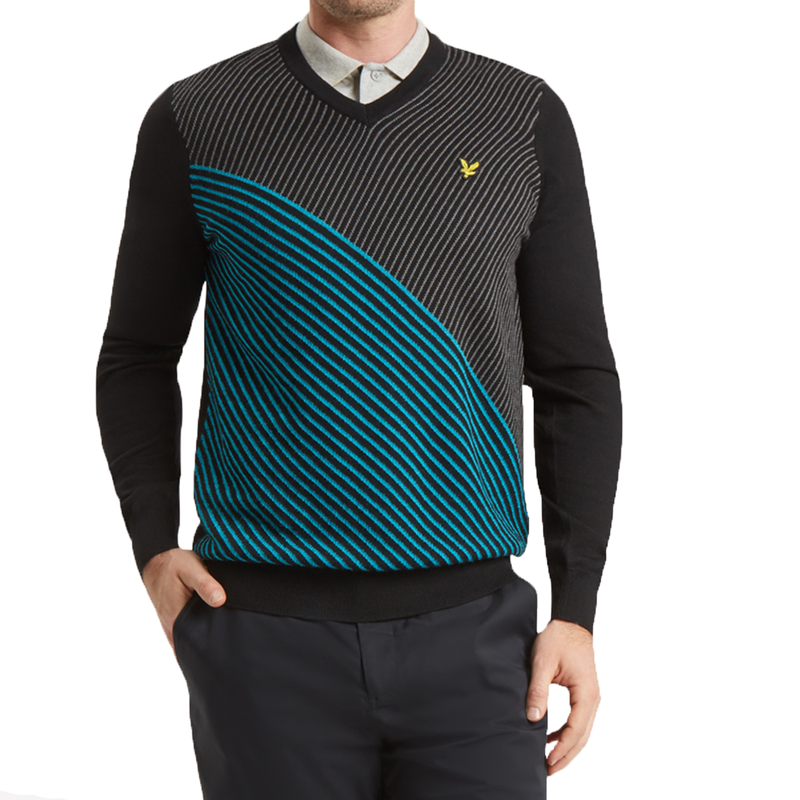 This stylish sweater features diagonal chest stripes to add another dimension to your outfit, and has a classic v-neck opening. 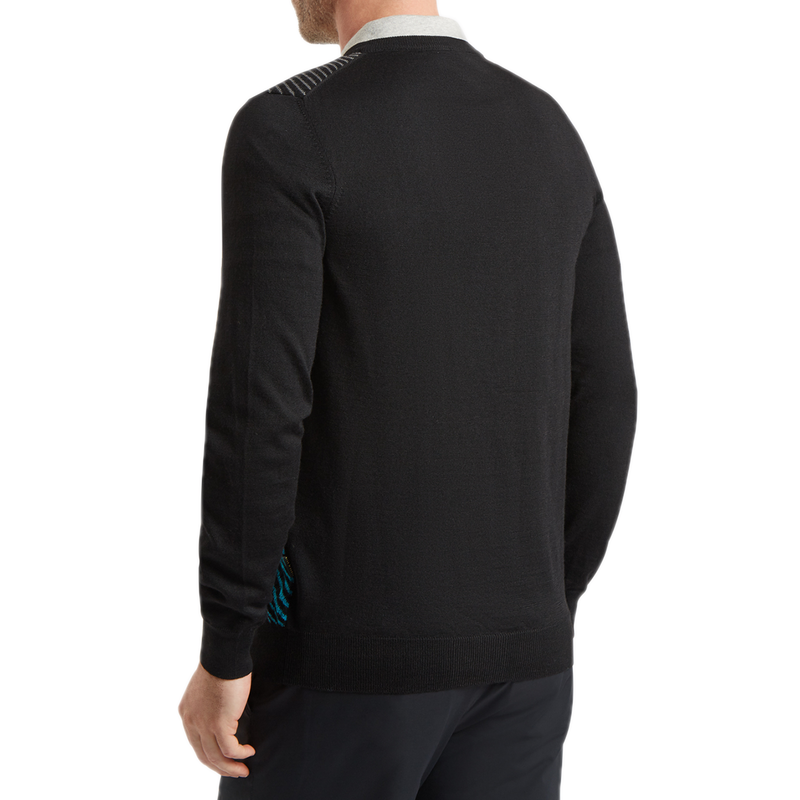 The material is soft and warm, plus has moisture wicking properties to keep you dry and less distracted during your round of golf. 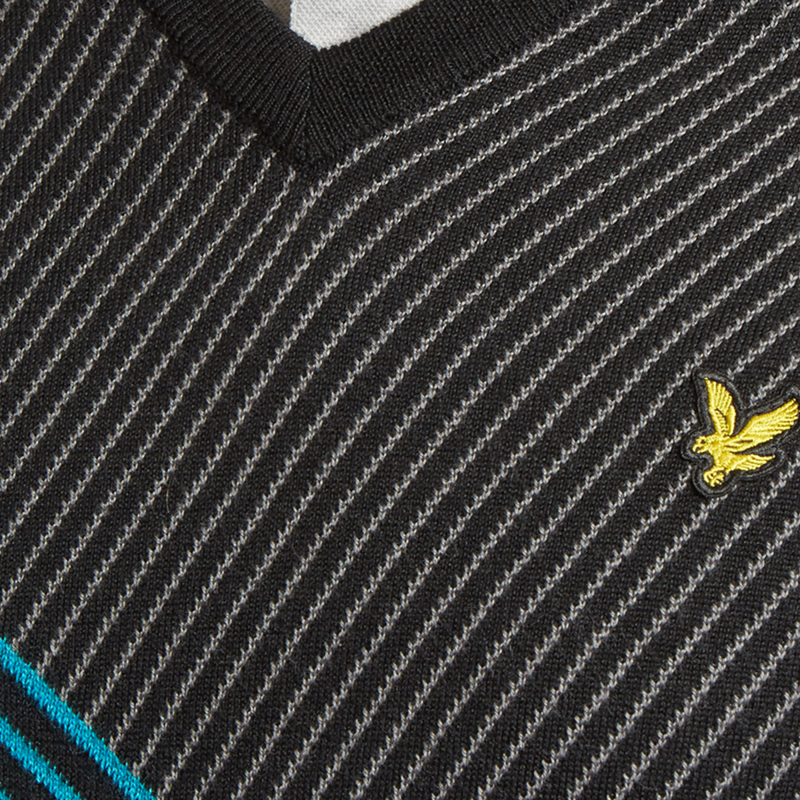 Finer details include the Lyle & Scott logo on the left chest. Machine wash at 30° or less on gentle cycle. Garment may be machine laundered only on the setting designed for gentle agitation and/or reduced time for delicate items.